Home » News » PORTLAND ROAD IS OUTSTANDING! 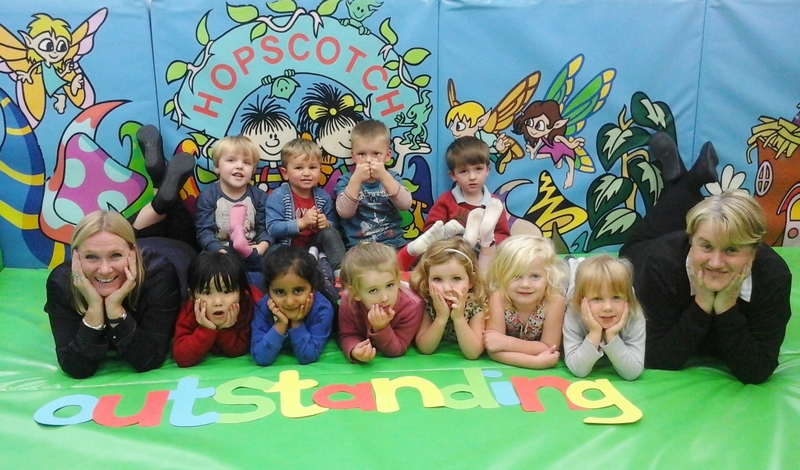 We’re thrilled to tell you our Ofsted inspection complaint and subsequent appeal has been successful, and yesterday they informed us that our judgement is now OUTSTANDING! A new report will be published on their website shortly. We couldn’t have done it without you. Thank you for all your support – so many of you wrote emails which were instrumental in providing evidence to help overturn our Good to OUTSTANDING. We always believed Rachel and her team deserved this judgement and it is now officially confirmed by Ofsted. We can’t emphasise enough how thrilled we all are with this news and the whole team will be rewarded with a celebratory night out. Please tell all your friends about our wonderful Hopscotch Nursery! Staff talk enthusiastically and with interest to children about their family life. This provides children with an excellent opportunity to gain a growing sense of their own identity. They engage in imaginative play, talking to staff as they act out their experiences. Staff prepare older children very well for their move to school. They provide a good range of activities to help children become familiar with the new experiences to come. For example, children practise handwriting and dress-up in school uniform. Staff in the baby room provide a nurturing and gentle environment for babies. Staff use routines provided by parents so that babies sleep, play and eat at familiar times. As a result, babies are thriving. Managers provide a good level of safeguarding training for staff. As a result, staff keep children very secure and help keep them safe from harm. Children have excellent opportunities to develop their physical skills, especially in the extremely well-resourced soft play room and through regular outings and visits to the local park. There is excellent support for children’s creative development. Children have many opportunities to explore with paint and other materials and to express themselves freely.